**This post contains affiliate links, this simply means that if you make a purchase after clicking my link, I will be compensated. No one is saying you have to start living at the gym. Heck, you don’t even need a gym membership! The key is to move as much as you can as often as possible. Go dancing. Take the stairs. Take your dogs for daily walks (ideally two times a day). Take a yoga class. Transition to a standing desk. Keep your muscles and joints moving and get your blood pumping. That will go a LONG way to getting and staying healthy, which will also show up in the quality of your hair. You knew this was one of the tips, right? There’s nothing wrong with adding some oomph to your hair color. Just make sure to choose a product that will help your hair rather than harm it. 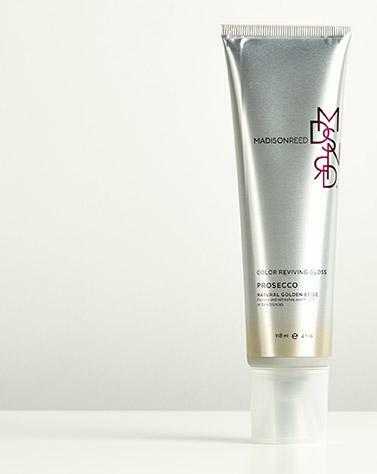 Enter,Madison Reed home hair color. Madison Reed’s hair color not only looks rich and vibrant, but also skips the harsh chemicals found in conventional dyes. This hair color formula is enhanced with a Triple Care Complex of keratin, argan oil, and ginseng root, which strengthens, repairs, and brings out your hair’s natural shine. From winter to summer, your one routine should be getting a good night’s rest. Target eight hours of sleep per night — a little more or a little less is okay too as the perfect amount is different for each person. Regardless of the fact that have part-time jobs now and then, not to mention school and blogging; I aim at getting 8 hours sleep each night. I always feel well rested when I wake up. I’ve never heard of this brand of hair color, but since I color my hair often enough, I’ll have to check them out! Always looking for tips to keeping my hair looking good! Thanks for the tips! Getting a full 8 hours of sleep each night can be hard. But it definitely wears on your body quickly if you aren’t getting enough! It’s amazing how diet, exercise and sleep can affect our skin and hair. Great tips!